Based at Ansty Park in Coventry, our purpose-built facility opened in 2011. Our focus is to provide manufacturing system solutions in an agile environment in partnership with industry, academia and other institutions. Our facility provides an unparalleled environment for the development and demonstration of new technologies on an industrial scale offering flexibility to our growing membership and our research partners. SMT Magazine is focused on the subject of surface mount assembly of printed circuit boards and other related topics. Presented in a 100% digital format since 2010, SMT Magazine is published monthly and is chock-full of technical articles and pertinent original content. Co-founders Joe Wolin and Cody Miller formed Aspen Labs, LLC in 2007 with the goal of creating a business media company that focuses on the needs of engineers. In 2012 Aspen partnered with Hearst Electronics Group, a division of the Hearst Corporation, to expand their services to a global audience. 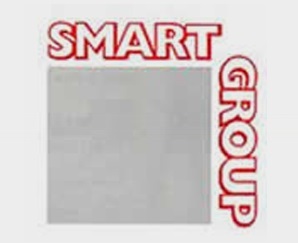 The SMART Group Aims to Promote the Advancement of the Electronics Manufacturing Industry through the Education, Training and Notification of its Members in Surface Mount and Related Assembly Technologies, and by the Promotion of a Community of Electronics Manufacturing Professionals. NPL Electronics Interconnection Group has put in place a Defects Database on printed board assembly and material issues as part of their continuing support to the electronics industry. David L. Jones is an electronics design engineer based in Sydney Australia. He hosts the EEVblog, the world’s largest and most popular engineering video blog and Youtube channel. SMT Today is an Electronics news magazine for the US and European electronics industry. SME is an organization for individuals, students, educators and companies involved in all facets of manufacturing. With more than 30 years of broad experience in Surface Mount Technology (SMT) Mr. Prasad has been responsible for developing and implementing SMT for numerous system products. The Australian SMT Association was formed in 1988 and in 1990 its name was changed to the Surface Mount and Circuit Board Association after the PCB Industry Interest Group joined with the Association.